Colombo District Judge G.A.D. Ganepola, in an order, restrained the UNP leadership, Party Secretary and his agents from taking any further action against UNP Parliamentarian Condagamage Mohan Lal Grero of speaking and voting in favour of the Budget. The demise of a friend creates a void in one's life. 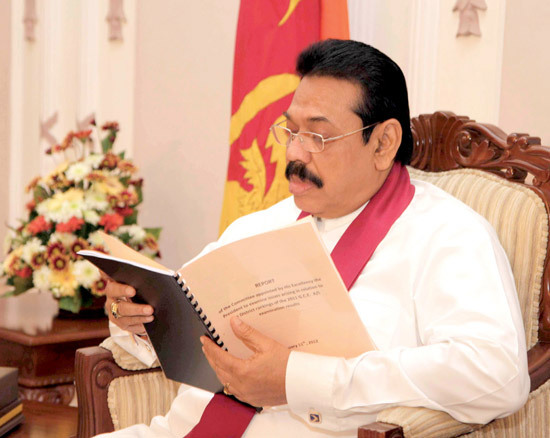 These were sentiments expressed by President Mahinda Rajapaksa who reminisced about one of his buddies in politics, whose life was not spared by terrorists. He longed for his friendship as no one could replace him, he said. It was on January 11, that the President gave a surprise call to his late friend's wife.